AVANI Hotels & Resorts (www.avanihotels.com) is pleased to introduce signature wedding experiences across our properties in Thailand, world-renown for its many romantic wedding destinations. For a limited time, when couples “Marry at AVANI”, they can choose from bright, breezy celebrations at the beach to sophisticated, modern ceremonies overlooking a vibrant cityscape, culminating with a complimentary five-night honeymoon in Koh Samui. AVANI Hotels & Resorts offer stylishly imaginative venues to say “I do”. A dedicated “Marry at AVANI” team can help plan every moment. Once a venue is selected, the ceremony can be tailored to the happy couple’s desires, whether it is a traditional Thai wedding, classic western nuptials or something more personalised. Meanwhile, the wedding party and guests can relax and explore their destination as preparations are made for the big day. The newlyweds can then start their life together with a romantic island getaway. Couples who book a “Marry at AVANI” package before 30 June 2018 for a wedding before 15 December 2018 with at least 200 guests booked, will enjoy a complimentary five-night honeymoon in Sunset Coast Samui’s One Bedroom Villa (managed by AVANI Hotels & Resort). 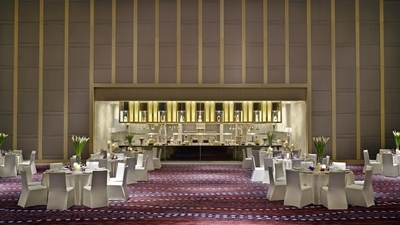 • AVANI Riverside Bangkok: Couples will be joined in matrimony with majestic Chao Phraya and breath-taking Bangkok views. Toast in the marriage on the rooftop then celebrate in style in the ballroom. • AVANI Atrium Bangkok: This smart, welcoming location is perfect for urbanites who want bustling Bangkok as a backdrop for their wedding. Contemporary and adaptive, the event space can be shaped into a couple’s dream ceremony. • AVANI Hua Hin Resort & Villas: For those who prefer a seaside setting, AVANI Hua Hin features one of the largest celebration spaces, surrounded by beautiful landscapes. Fresh ocean breezes welcome the bride and groom while up to 800 guests can witness the happy event in the ballroom. • AVANI Pattaya Resort & Spa: Tropical gardens kissed by sea breezes are a perfect location to tie the knot. Or perhaps the classic Thai sala can set the scene for a traditional Thai ceremony. 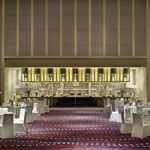 • AVANI Khon Kaen Hotel & Convention Centre: With 4,000 square metres of event space available, couples-to-be can chose from intimate weddings to lavish, grand affairs for up to 2,000 guests.